ONGC 2014 Admit Card download from 06th June,2014,for exam to be held on 22nd June,2014.ONGC Oil and Natural Gas Corporation Limited Recruitment of Graduate Trainees 2013 released notification few months back to fill up 842 number of vacancies.Advertisement No.1/2014 (R&P) ONGC Recruitment 2014 for various disciplines. Candidates who have applied for ONGC Graduate Trainees 2013 (GT-2013) Recruitment 2014 are requested to have their ONGC 2014 Admit Card download from 06th June, 2014. 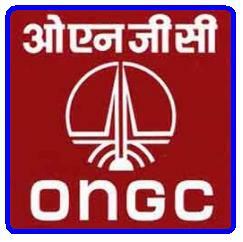 ONGC 2014 Admit Card download ??? 2).ONGC All India Written Test is going to be held on 22nd June, 2014 (Sunday). 4).Candidates are advised to solve ONGC Previous model papers for scoring good marks in the Written Exam. Do not worry.Application ID is nothing but “Registration Number”.So just give your Application ID and Date of birth. Your Application Number is nothing but “Registration number”.So Enter your “Application No” in place of “Registration Number” and give your Date of Birth to download ONGC GT-13 Admit Card. where to enter my applctn id to download my admit? Click the below link first. In the above link,give your “Application Number” and “Date of Birth” to download your Hall ticket. I entered the application number which i got from ONGC n also birthdate correctly.. aftr login its saying “Your Application has not been accepted/Incorrect Date of Birth entered”… wht should i do? How can I get my Hallticket? Open your Email which was registered during registration,and in the search bar enter “ONGC” word.Emails matching with ONGC will be filtered.From there “Check your APPLICATION NUMBER once again,then enter the same properly. First make sure your “Application No” and “Date of Birth” are correct.The date of birth that you are entering must be equal to “the Date of Birth” that was entered during registration.So Kindly enter your APPLICATION NO. and DATE OF BIRTH properly.Sure you will get your ADMIT CARD. I entered correct Application No & Date of Birth as per ONGC registration slip. after this, even i m unable to download the admit card. Thank you for providing this information. I have written the query through mail. Hopefully my problem will get resolved soon. Hope Your query will be answered soon by ONGC staff. Check your “DATE OF BIRTH” which was given in ONGC Application Form.Kindly enter the same.You can then download your ONGC Admit Card. sir I entered the application no and date of birth correctly but after login it is saying , ” your application has not been accepted / incorrect date of birth “….Please help me sir how can I get my admit card..? Kindly call up on these numbers to solve your Query. Sure your problem will be solved. Sir i entered the application no and date of birth correctly but after login it is saying, ” your application has not been accepted / incorrect date of birth “. Please help me sir how can I get my admit card. ? Do not worry.Kindly write your Query to queries@ongcgt2013.in. And besides that keep on giving your Proper “Application Number” and Correct “Date of Birth”. Sure you will be able download your ONGC Hall ticket. I SUCCESSFULLY REGISTERED FOR GET ENGINEER 2013.BUT I CAN’T DOWNLOAD MY ADMIT CARD BECAUSE I LOST MY REGISTERATION NUMBER.SO KINDLY SEND MY REGISTRATION NUMBER ON MY MAIL ID OR MOBILE NUMBER AS GIVEN BELOW. You can recover your Application Number (Or Registration Number) from your Mail.Open your Mail first.When you open your mail,in the search bar you just type “ONGC”.So that the Emails related with ONCG will get filtered immediately.There you can find ONGC Application Number (Register Number).So that ultimately you can get your ONGC GT-13 Admit Card. I have registered for the same, but I’ve lost my registration number & I have no record for the same. please suggest. You might have got ONGC CONFIRMATION MAIL around April month,2014.So first Open your Mail then in the search bar type “ONGC”.The ONGC mails will be filtered and come on the screen.So there you can recover your Application number (Or) Registration number surely. You won’t get any new details about Downloading Admit Card in your mail.But you might have got ONGC CONFIRMATION MAIL around April month,2014.So first Open your Mail then in the search bar type “ONGC”.The ONGC mails will be filtered and come on the screen.So there you can recover your Application number (Or) Registration number surely. I entered correct registration number and date of birth for downloading admit card, but there is no preview of my admit card and not able to download. please help me how to download my admit card. thank you. When you enter your Registration Number and Date of birth,directly a PDF will be downloaded.So you will have to just take print out of the same. Sir, I my admit card my signature along with my picture is not visible. What to do? When the Internet connection is poor sometimes it likely to happen.So try once again.Soon after giving your Registration number and Date of Birth,sure you will be allowed to access your ONGC Admit card. I tried so many times with good internet connection, the problem was same. Now what to do please suggest. Do one thing,if you do not mind give your Registration number and DOB to studentstudyhub@gmail.com. We shall forward PDF(your Admit card) to you if we can. So that you can take print out of the same for ONGC Exam which is going to be held on 22nd June,2014. Right now the Admit card link is not active to Download admit card again to get Roll number.So do not worry.While looking for ONGC Admit card 2014 ,some times there are chances entering any one of the details such as Roll number or Registration number and Date of Birth.So revert back if you find any problem when results get released. No,ONGC GT 2013 Result for exam held on 22nd June,2014 will be released in the month of August,2014.Keep visiting for Results. Check your email,when you were registering with ONGC it might have sent you an email consisting of Registration ID and Password as well. I have forget my registration number of written test for Jr.engineer for diploma holders.adv.no.01/2014.I have also lost my bank challan details , e-mails & messages from company… So pls help..
Hi , i am not able to download my admit card for my CGT 2014 EXAMS which is on 10 th May .entering each every details , the screen shows Thank you for successfully registering with ONGC. 2 RADIO BUTTONS WITH HEADING EXIT ,& PRINT . NO pptoon to download admit card .all my other frens got der admit card.